By default WordPress is a dynamic CMS (Content Management System). This means that for every visitor request that WordPress has to process, it must first connect to the database to see if the requested page even exists. In a lot of cases this might not be problematic on a site that doesn't receive much traffic. However a sudden surge in traffic caused by search engine bots, or just a general increase in normal traffic can quickly cause your WordPress site to use up a lot of CPU resources from the server while trying to fulfill needless duplicate requests again and again. You can counter this increase in CPU usage by implementing a caching plugin. What these do is cache the first visitor's request of a new page to a plain HTML file on the server, then when another visitor comes through and requests the same page, so long as the page wasn't updated in your administration section, or updated by a comment, the cached HTML page will be served. This can greatly reduce CPU usage of your WordPress site very easily. As an example let's say you had 100 views of your front page, without caching that would require the same database query to have to run 100 times and every time it's just getting back the exact same data anyways. With a caching plugin only the first user would have the database query run to generate the cached HTML file, then the next 99 visitors would get that cached HTML served to them right away, without having to wait for any database activity to complete. This is just about always a win-win, because your visitors don't have to wait as long for your pages to load, and you're reducing the impact of WordPress's requests on the server's performance. One of the simplest WordPress caching plugins to setup is WP Super Cache which is discussed in a previous article of ours. However if you need more advanced caching options such as the ability to serve a static 404 error page the steps below will walk you through installing and configuring the W3 Total Cache plugin for WordPress. **Note: This will not work with Wordpress Multisites. Hover over Plugins in the left-hand menu, then click Add New. In the Search box, type in w3 total cache and select Install Now. From the left-hand menu, you should now have a new Performance section. Hover over this and click on General Settings. Scroll down the general settings page ensuring that each main section is enabled. NOTE: If you are using minify, make sure to enable the option, save it and then immediately look at your WordPress site to make sure that the site looks normal. If you see problems with formatting, then it's possible that a theme or plugin is causing issues due to the minification. You should then disable minification and not use this option with your website. Hover over Performance again in the left-hand menu, and click on Page Cache. Finally to confirm that you've setup everything correctly, in your web-browser open up your site and hit (Ctrl-U), or go to View -> Page source to view the source of the page. Scroll to the very bottom of the page and you should see the W3 Total Cache banner letting you know the page has been optimized. Once you've confirmed that W3 Total Cache is up and running properly on your website you're done. Now you can enjoy quicker page loads, and reduced resource usage from your WordPress site! For more information on this course please visit Recommended Plugins. It looks like this note refers to the last paragraph. To which paragraph does this note refer? Which part is not working with Multisite? Hello, Irene. It looks like this note refers to the last paragraph. However, it could benefit from some clarity. Thank you for letting us know. We'll see if we can make that part clearer. Can you guys please update this post, the w3 total cache plugin is updated. There are alot more features now, and it is not working properly with these setting you provided on this blog. I am not able to score more than 72% on gtmetrix with these setting and yslow score is only 62% using these setting. Thank you for your suggestion, our team will look into updating this article. In the meantime, we are happy to help you troubleshooting your low scores in GTMetrix if you can provide the domain name. That would be great, thank you guys. The only reason for me to highly recommend inmotionhosting. All of my current domains are scoring bad. I think it will be the same fix and settings for all them as they are on inmotionhosting.com, also i tried every plugin and every solution. For now any help will be highly appreciated. Thank you for the additional information. If you click the "recommendations" below your results, it provides specific details. That option will not work on our servers, so it should not be enabled. I'm a VPS user. my site -***********.org. Can you tell me the optimal settings for W3TC and VPS and MaxCDN. without site breaking . What Opcode should I use for IMH vps.?? Thank you for contacting us. It is difficult to say without looking at the specific nature of your websites, and how they are coded. I recommend starting with the setting specified in Step 10 above, and monitoring/reviewing the server, and website performance. We also have a helpful guide on How to Optimize WordPress. Hello, I have enabled browser cache W3 Total Cache plugin, but in google analytics site speed suggestions it is still showing. Any reason why this could be happening? There may be some settings that need to be set within W3 Total cache in order for it to be detected by Google page speed. Check out this article for an example of this isue. Thank you for contacting us. It may take some time for Google to crawl your site and update their information. You can ask google to reconsider crawling your site within Webmaster Tools. This should allow them to see your updated site. I did as you instructed but my homepage still shows this? what can i do to solve this issue? pls help, it will be great if you give short instruction for me to understand. if i refresh the page 2/3 times it gets back to normal but users are complaining. Thank you for contacting us. We are happy to help, but will need some additional information since I did not see any previous questions from you. Are you following the above guide? Can you provide the steps you are taking to see this error? Yes the above guide is the one I followed I checked and unchecked whatever the above pictures showed, and others settings are default, I didn't touch them, through page source of my homepage shows this at the end too. The page error it is showing is actually from a anime-plugin I'm using, whenever I change my domain and i need to get the license for the new domain and wait for it to get accepted but till the new domain get accepted my homepage will show this error " Oops, something is wrong with our website right now----XHC WPA" <- that dialogue. But I already got that anime plugin's license so this dialogue shouldn't be showing on the homepage anymore, but once WTA caught it, its not going away. you will see that from time to time whenever you visit the homepage, Not always but 2 or 3times if you refresh the page 10 times once in a day. Some people said its the wordpress theme's problem but I'm not convinced by it. By the way I have another site which is using WTA as well , and from time to time it gives "404 nothing found" error on that site's homepage which I coded for non-working links. I do not see that error when visiting your site. Have you tried clearing the cache for the W3TC plugin so it has to rebuild it? This should clear the issue if it has indeed been cached. Hello scott , I tried the option which suggests "empty all catche" from the plugin , but I still get that error, also some of the users are the getting the same issue, may be because you never visited my site but those who visited before i changed my domain are having this problem, but I'm not sure if new visitors are getting that or not. Would there be any benefit to avoiding the plugin in terms of choosing NOT to have it configure my .htaccess and any other data transfer protocol that needs attention? Currently working as a developer, focusing a lot of time on performance now that my clients eCommerce site it about to go live on one of Advanced Dedicated Servers. I had set up my own custom .htaccess and then simply placed the WP Super Cache plugin on the back-end (DEACTIVATED) on the offchance that I'm not around and a designer wishes to purge the cache (via the "delete" button that this plugin offers) to see some major change that they might have made to the site. To be honest, we haven't tried that so we do not know of any. Give it a test run and see how it works for you. Is it also worth noting that enbaling object cache can really have adverse affects on your Wordpress Admin experiance? I don't see many negative comments on enabling object cache. However, there are many other things that you can do to help optimize WordPress. If you have any further questions or comments, please let us know. I want to enable gZip compression on my site pallareviews.com. How to do that? You shouldn't have to enable gZip compression as it is enabled on our servers already. You can find more about it by going to this article: An introduction to gzip / mod_deflate. Caching should definitely increase your site's speed. It is not the only thing out there that can help, but it is normally one of the best things to use. - How to "autopurge" selected/dynamic pages? W3 Total Cache FAQ states that "They never stop being dynamic, we just don’t create pages that have not been changed. If you have a page that updated frequently in your blog before, it will still remain up-to-date at all times." which is my case is not true - for an example home page has Events section which is not up to date till I will purge that page manually. Can I setup WP Cron to purge all cache on selected time to avoid manual purge each day? #2 Browser Cache - It seams that some browsers requires to use manual cache reload to get up to date pages after purge. Why? #3 Page Cache - If I run a site on a dedicated server (linux) which option should I reconsider? #4 Database Cache - Not sure how it should to work. My expectations are that will cache WP queries but simple I don't see that to be done at all. Any clue? - How to get that to wor? Caching is basically the act of saving something in memory so that it can be loaded from there instead of having to "re-create" a page on the fly- all for the purpose of speeding up the dff. There are thousands of plugins and websites out there, if you have maybe one page on your site that is being cached unnecessarily, would it benefit your web server resources to ignore that cached page, or do you spend the time to create a cron job (which also requires resources to run at a certain time). If it's a single page, I would say leave it be, unless you're seeing that one page causing a serious problem in the performance of your webpage. Also, the plugin does the work for you...meaning, if the page is being commonly requested, it will be cached. If it's NOT being commonly requested, then it won't be cached. If it's constantly changing it won't be cached. If it's not working due to a plugin or other quirk, you will need to bring that issue up with the authors of the plugin. They would be better equipped to provide you a reason and possibly a solution. This may differ from browser to browser and computer to computer, but in general, browsers use caching to speed up the loading of web pages. It's pretty much standard practice - but the reason is simple: speed up the loading of a web page. After a purge, it'll must often cache what's considered the "home" page for the user's browser. If you run on a dedicated server, then ALL of the server's resources will be dedicated to the running of your site. Checkout the link at the bottom of this response. You'll find more details about setting up for a dedicated/vps versus a shared server. You would probably use LESS of the caching than more since you have more resources dedicated purely for your site. WordPress uses a database in most of its operations. The database caching simply caches common queries so that the database is less burdened with that task. If you want to know HOW it works, you'll need to write to the programmers of this plugin. If were to guess at it, I would say that anytime WordPress has to address the database, there is an EVENT that it generates in order to communicate with the database. The plugin notes these common events and caches the query result. For example, if a specific post in WordPress is being constantly viewed, the database is being queried and the RESULT of the query is to pull the data for that post FROM the database. Instead of having to run that query AGAIN, the plugin caches it, so that the next request for the page does not involve the query of the database, it simply pulls the result from the cache. Mind you - I'm not sure of the EXACT sequence of events on the caching, but that is probably the general concept of how the database caching is working. Basically, this setting would be utilizing the memory available in RAM for you account. I would recommend leaving this to a default setting. This would be more of a factor if you have a dedicated server and your sever resources are dedicated to your website. (php.ini memory setting). Using W3 Total Cache to help Make sure to check the different links! Caching with W3Total Cache often depends on the the web resources and the website itself. I hope these answers help to configure the plugin for your needs. For more specific settings of the plugin, you'll need write to the authors of the plugin, or checkout one of the many guides for more details. I do have to give some words of advice to anyone reading this. You should not be using Object Caching and Database caching if you have a basic news website or a blog. These are typically for very dynamic content such as having BuddyPress installed. Furthermore, you should be running them with APC not from disk because 1. It will cause a huge Inode increase and 2. It is not going to be that much if any speed improvement. These tasks are best run from memory because they are going to be loaded the fastest this way. Just thought it would be helpful. Facebook Comments is not visible after I instaled W3 total cache. What I can do? Unfortunately, the Facebook comments issue will need to be addressed by the plugin developer. If you're using a plugin to display Facebook comments appear, then you will need to speak with developer of that plugin in order to troubleshoot why the use of a caching software like W3 Total cache. You may want to try first disabling the plugin and see if it doesn't make your comments re-appear. You can then try re-enabling the plugin and then turn on sections of it on/off to see how it affects your Facebook comments. I will try the above on my site ..seems to be work. thanks for sharing such an awesome post. I am going to use this plugin on my website and hope it will work fine. After reading the article it seems that this plugin will be helpul. But if I take a look on the review, I get confused. Actually, I am running a video website and my question is, can I use W3 total Cache plugin on my website. You can use the plugin, though I'm not sure how it works with the videos. The pages themselves would be cached, however. I have a HTTPS Wordpress site. Do I need to check? Cache SSL (https) requests. Cache SSL requests (uniquely) for improved performance. I followed the steps above, however in step 11, above, my source of page message looks like the one below, instead. Does that mean some of the setup did not go through? I reviewed the settings for W3 Total Cache and ran the latest install on a test site myself, but I'm seeing the summary indicating that caching has occurred. Either caching has not been enabled on your site (in spite of the plugin being installed), or the plugin's not working. If you're using the latest version of W3 Total Cache, there's a shortcut to turning on the caching in step 7. Click in the top box (under General Settings) labeled "Toggle all caching types on or off (at once)". Then click on SAVE ALL. It should enable the caching. Then double-check the page source again. You may also want to reference this WordPress support page: How to Ensure that W3 Total Cache is working. It gives you several suggestions that could help resolve the issue. I tried to follow the step, as mentioned and I got the following error messaes right there on the general settings page (and obviously no change in the page source notes. Perhaps there is something more to the set up, in addition to the steps described in the post, that I need to perform? PHP module is not enabled. PHP agent is not enabled. Account ID is not configured. Application ID is not configured. Enter/Select application name. License key could not be detected. By the look of the error, the New Relic is the one having issues. Is there any error regardign W3 totcal cache? Or do you believe this error for New Relic is due to he Total Cache? if we see no improvement or reduction do you still recommend W3? what do is normal, what do you guys get after enabling W3? as i noted above, WP Fastest Cache did the best on my sites, upping 1 to 2 grades on all sites. i got As using Fastest Cache but B is the highest i get with W3. Using caching of any type will vary depending on the website and the software used. We can't give you a flat statement that says "this is what will happen to your website when you use this plugin". There are too many factors involved. Performance of your website with caching can depend on your server settings, your website structure, your hosting plan, if you use content delivery networks (CDN), etc. If you find that the caching isn't working as well as you hoped, then you may need to experiment with the settings to see what best works for you, OR, you may want to try a different product. Apologies that we can't give you a direct answer, but you will need to work with the plugin in order to determine what works best for your website. W3 - Green Bar warning - "It appears that activating the WordPress SEO extension for W3 Total Cache will be helpful for your site"
i can only find 3 results in google for this. user posted the same question i have, 5 months ago with no replies. do you guys enable this? The setting for the W3 Total cache SEO is something we don't endorse or suggest you NOT use. It will be up to you if you want to use it or not. This is a third-party plugin and our recommendations would be based on its affect to performance of the website on our servers, but to our knowledge it will not have a significant impact. 1. i use wp default theme twenty fourteen (through a twenty fourteen child theme) ALL my site css format gets whacked enabling Minify. is there a solution for this? "The required directives fro fancy permalinks could not be detected, please confirm they are available:"
but all my url links are text words just like the sites that W3 installed fine. searching i found some explanation saying "your .htaccess file does not exist" but in my case that is NOT true. last months using WP Fastest Cache i noticed all my sites bumped up at least one letter no matter. i had to stop using WP Fastest Cache because the author told me it is not compatible with ithemes security which i use. PS. anyone having trouble with W3, make sure you follow ALL of IMH instructions first, do NOT pay attention to RED BAR warnings when you install W3, do all of IMH steps above first. AND on some of my sites, using a fresh download of W3, W3 had extra ENABLES like CDN, Enable varnish cache purging, New Relic... i have no idea why/how these got auto checked but they cause all kinds of RED BAR warnings. I am not quite sure what you mean by your CSS getting whacked. Do you mean it gets deleted? broken on the site? It should simply compress without any execution errors. As for the cloning problem, have you disabled and re-enabled the perma links after getting that error? Perma links can be problematic and that usually fixes the issue. They are stored in the .htaccess file, so that may explain why that came up in your research. 1. whacked i mean all the text, images, menu is present but the positioning and color get mixed up and most all images/text left justify. it would be nice you this forum allow attachments. the result is not proper for users to view. it looks like what you instructions above warn about "does not look normal". your above instructions warn of this but only mention to turn minify off if this happens, i'm inquiring if there is a solution to enable minify and have my site "look normal" as it did before the enable. 2. your suggestion worked on the Clone sites. i went to Permalinks and clicked Default > Save. then i clicked "Post Name" > Save, which i set all my sites to after i have them built. no more Red Bar error on permalinks. i don't know if Yoast helps this along to translate but all my urls end up being the Title of the page i created, which i want. thank you very much cause searching i saw nothing pointing to that. though it was 4 clicks, 5 seconds, i would have never known to do that and i don't see how anyone in the world would! LOL except you! If the minification settings are causing problems, then you may need to contact the author of the plugin for help resolving that particular issue. This is a third-party product and fixing functionality of the plugin will need to come from the plugin's author. Check out their support page for the plugin for additional assistance. You know, I'm sure this must be a great plug-in and I must be the dumbest idiot on the planet, but I swear to God, my site stats actually showed slower page loads AFTER implementing W3 Total Cache and setting it up as directed by WPBeginner and a couple of other sites. Fortunately, we're not Amazon, so loading pages in a flash is not going to make us or break us. Maybe this is a KUDO to inMotionHosting for having fast hardware, I don't know, but if I can avoid ANY complexity in my website, I'm going to avoid it. You know, if you implemented every single plug-in that is "recommended" to "speed up your site", spread your content over a CDN, get your SEO in order, yadda, yadda, yadda, SERIOUSLY, NO ONE could afford to have a website! Yeah, I guess I just don't get it. Sorry to hear that you're having problems with the caching software. It's very possible that it may be slowing your site, depending on the settings. Try going to Gtmetrix.com and it should tell you what may be causing your site to be slow. If you can provide a URL for the website we can also look if you wish. Apologies again for any confusion or difficulties. Please let us know if you have any further questions or comments. Thanks for your quick reply i did what you asked but it didnt help my page speed issue instead yslow jumped from 84 to 90, but still the cache vallidator issue persists. Did you clear your W3 cache? If you didn't then the old cache will still reflect the files made without the changes and be assessed by GtMetrix that way. If the problem persists, then you should contact Gtmetrix and ask what could be causing the flag if you have taken steps to resolve it. Also, if you, looked through the forum response, the last post mentions the same thing and provides a possible resolution to the issue. I am using wordpress along with cloudflare & cloudfront CDN, & also running W3 Total Cache plugin at www.eRescue.in, but GTMETRIX report at http://gtmetrix.com/reports/erescue.in/IY804vLS always give my website a F in "Specify a cache validator" section. I do not understand what i am doing wrong. Thanks for the question. I researched this issue and I found this post that gives a variety of possible solutions to the issue. They also faced the same problem with the cache validation and provide you a solution. I've followed many tutorial to install W3 Total Cache and have been having problems. I've followed yours (great tutorial BTW) and my page source says it's optimized (although it has a ton of other script written below it) and currently I have over 700 broken links, 404s. I disabled minify. Is there anything else I check before I deactivate the plugin? If the site was working prior to enabling a plugin, the first thing you should do is disable it to see if the normal behavior returns. If not, then you should check into the other things. However, with that many broken links and 404's, it sounds as if your PermaLinks may have broken. To test this, go back into the admin area, disable the permalinks, save, and then re-enable them the way you had them. The site hopefully will return to normal behavior from there. Thanks so much for your response, Scott! I've disabled the plug-in and I still have those broken links. I also have the Yoast SEO plugin. Do I go into those settings and disable my permalinks, save then change it back to the way it was? And do I change it under post titles? Thank you for contacting us. What Scott is suggesting is changing your Wordpress Permalinks to a different option. For example default, and saving. Change the permalinks back to the one you were using originally, and save again. Then, test your site to see if it fixed your 404 errors. If you are still having problems, I recommend reviewing our Common WordPress Troubleshooting guide. The first section goes over Disabling your WordPress Plugins. cdncalc.com is a good website to compare CDNs. I've chosen keycdn.com and I'm very happy with it. I installed the W3 plugin and followed these W3 total cache settings but still my account shows high resource usage, what is the problem that I am facing. How do I get rid of high resource usage? If you have installed the plugin and still report high usage you will need to contact live support so they can take a deeper look at the specifics of your account. You can always take a look at the CPU graphs in cPanel to keep an eye on your account's resource usage. It looks like you had a very large usage spike on 6/27, but since then your CPU usage has been within the limits for the most part. I'd recommend also taking a look at our optimize WordPress guide for further tips on how to tweak WordPress to use the least amount of resources possible. You shouldn't need to purge the entire cache when just updating one post in WordPress. Typically when you update a post, it will automatically update the cache for that post. Are you not seeing this behavior? 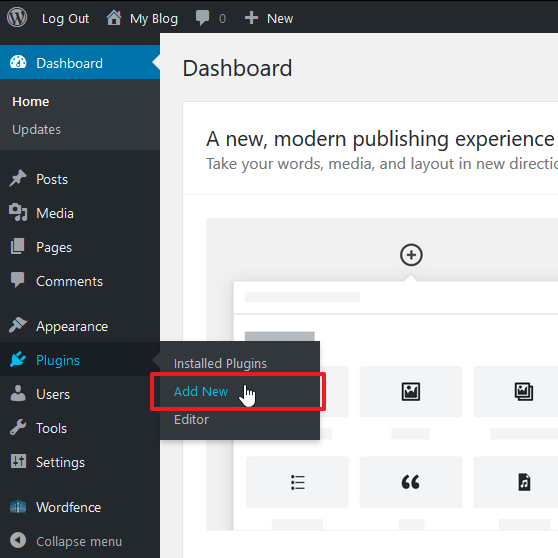 Make sure that you update the WordPress plugin so that you're using the latest version which has this functionality. There will be a surge if you clear or purge pages from caching. They need to recache in order to reduce the cpu usage. Is this what you are doing? Please enlightenment, how to rearrange the pages (1,2,3, .. etc) including category pages without causing cpu spike ? You can setup your front page to be the latest post which can be done with your theme options. However it will still most likely cause a cpu spike when purging the cache. I'm wary of installing this on a news website that currently has over 30 thousands posts. Will the process of caching this much content over burden my vps in media temple? Caching takes place as a page is initially visited not the entire site at once. It should not have an adverse affect on the server. In fact, overall (after caching) it should decrease your load, making your site more efficient. a few days after doing the Minify, the site CSS still got whacked and made the site unreadable, so there's more going on here. but then a few days later the site went back to good with no modifications and been good for about 2.5 weeks now. i have no idea. Sometime CSS minification can cause problems and you might need to leave it disabled. It might be working now because the cache has cleared since enabling it. Recently, I used w3 total cache but my site is acting wierdly, it is not properly loading and this happens on every page but when i referesh it loads properly. I told my developer so he told me to empty the cache so it worked fine but it keeps happening like this. My developer advised that my internet speed is slow which is causing the page to stop loading. What possible solutions are there ? The Internet speed would be from your end, not the server in the data center. However, there is a possibility that there is a routing error, causing slow loading. You may want to perform a ping and trace test to see if there are any hang ups in the route.